Or occupy ones own mind ? 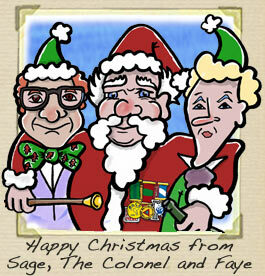 The Colonel has something to say on this matter, and Sage is driven to the point of not knowing anymore! Plus two songs from J.J.Tobin-Dudley! Happy New Year my good people, peace, and love from all at The Colonels Radioshow! LISTEN TO POD CAST WITH PLAYER ABOVE OR JOIN US ON I TUNES !